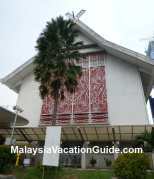 Located along Jalan Raja Chulan in the city centre of Kuala Lumpur, Malaysia Telecommunication Museum is also known as Muzium Telekom in the local language. It is the first interactive museum in Malaysia where a chronological events of the nation's telecommunication history are re-enacted. Artefacts and telecommunication equipment used in the previous eras with a detailed write-up of their history are exhibited here. 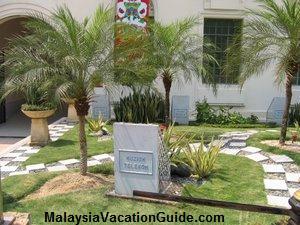 The beautiful landscape entrance to Malaysia telecommunication museum located at Jalan Raja Chulan, Kuala Lumpur. The 3-storey building itself was built in 1928 as the Central Battery Telephone Exchange. In the colonial era, this building was the target of the enemies to cripple the main telecommunications infrastructure of the country. The development of telegraph, the invention of telephone by Alexander Graham Bell, radio, telex, microwave network, television broadcasting, use of satellite , development of cellular phone, the privatisation of Telekom Malaysia and the launched of Kuala Lumpur Tower as a telecommunication tower in Malaysia are all shown here. Key milestones in the development of 120 years of telecommunication in Malaysia in chronological order are listed below. 1870 First telegraph submarine cable linking Malaysia and Indonesia marks the start of telecommunication in Malaysia. This link was extended to London in the year 1879. 1876 Alexander Graham Bell invents the telephone. 1891 The first telephone exchange was installed in the capital city of Kuala Lumpur. 1894 Marconi invents the radio. 1929 The first Royal Malaysia Police Radio linked the island of Pulau Ketam to Port Klang. 1931 The first commercial radio was broadcasted from Bukit Petaling Radio Station. 1936 The first overseas radio link from Kuala Lumpur to the rest of the world was made. 1946 The first telex was introduced. Printed document can now be sent over the wires for the first time. 1959 The first microwave network station for telephone transmission was commissioned at Bukit Nanas, Kuala Lumpur. 1963 The first telephone broadcast in black and white pictures was launched. 1970 The first international earth satellite receiving station was built in Kuantan, Pahang allowing live international television broadcasts a reality. 1979 International Direct Dialing was first introduced in Malaysia. 1983 The commissioning of Kuala Muda Maritime Coast Station for international maritime service. 1985 The latest cordless mobile phones and representations of state-of-the-art ATUR 450 technologies was introduced. 1987 Jabatan Telekom malaysia was privatised. New logo, new mission statements with higher standards of service were guaranteed. 1992 Smartfon was introduced where one can call anytime while on the move in a Smartfon zone. 1993 Menara Kuala Lumpur or Kuala Lumpur Tower was launched. It was the 4th tallest telecommunication tower in the world at its launching. 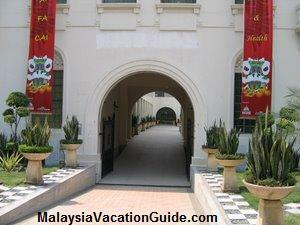 The arch structure at the entrance of Malaysia Telecommunication Museum. While you are here, remember to look out for the old telegraph which was the main communications used in the olden days before the invention of email and internet. If you plan to come as a group, you can also request for the educational package where you can stay overnight at the museum. 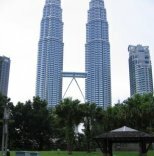 The package includes sleeping bags, meals, activities as well as the access to KL Tower. The museum is easily accessible to the public as it is located in the city centre. Take the LRT and alight at Masjid Jamek Station. As you come out from the station, look for Jalan Tun Perak road and walk along it towards the Maybank Tower. As you are about to reach Maybank Tower, turn left to Jalan Raja Chulan and you will see the Museum. You can also take the FREE GOKL City Bus. Use the Purple Line that service this route. 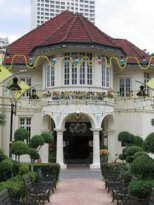 Address: Jalan Raja Chulan, 50200 Kuala Lumpur. The museum is closed on public holidays. RM6 per adult and RM3 per child for MyKad holder. RM11 per adult and RM5 per child for international visitors. Further information can be obtained by calling +6 03 2031 9966 or +6013-9771 104.